Bellevue Therapist: Doug McClosky - Therapist 98004. Send A Message To Doug. Doug is a Licensed Marriage and Family Therapist in the State of <?xml:namespace prefix = st1 ns = "urn:schemas-microsoft-com:office:smarttags" /??>Washington. He is currently the president of the Puget Sound Adlerian Society and is a clinical member of the North American Society of Adlerian Psychology. Doug belongs to the American Association of Marriage and Family Therapists. He earned an MS in Counseling from the University of Oregon in 1985. Doug listens to his clients with compassion, and encourages them to explore their challenges and goals. Because everyone who enters counseling is looking for a happier and more fulfilling life, Doug is committed to going beyond the alleviation of "symptoms". He has found that everyone can accept themselves and make sense of their own feelings once they have explored their past in detail in psychotherapy. He has also found that once a person achieves this deeper understanding, they are better able to make changes that last. Because of the success of this approach, he is likely to combine practical, short term solutions with a relevant, systematic exploration of the past. 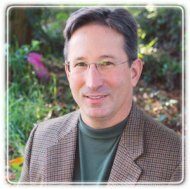 In his 27 years of professional experience, Doug has helped Adults, Adolescents, Children, and Families with dozens of unique presenting problems that have included: depression, anxiety, transitions, relationship issues, academic performance, addictions, parenting, mood disorders, trauma, grief, Asperger's, gifted teens/children, ADHD, sexual abuse, and sexual orientation. Before beginning his private practice, Doug worked in inpatient chemical dependency, outpatient chemical dependency, walk-in crisis and referral for the Veterans Administration, and residential care of emotionally/behaviorally challenged teens/children. Doug has been happily married for 32 years and has a 22 year old son who is studying jazz piano and composition. He enjoys kayaking, skiing, backpacking, photography, and his mellow Golden Retriever.